'These people we're afraid of are our neighbors.' Downtown walking tours discuss housing, public safety and Juneau's future. 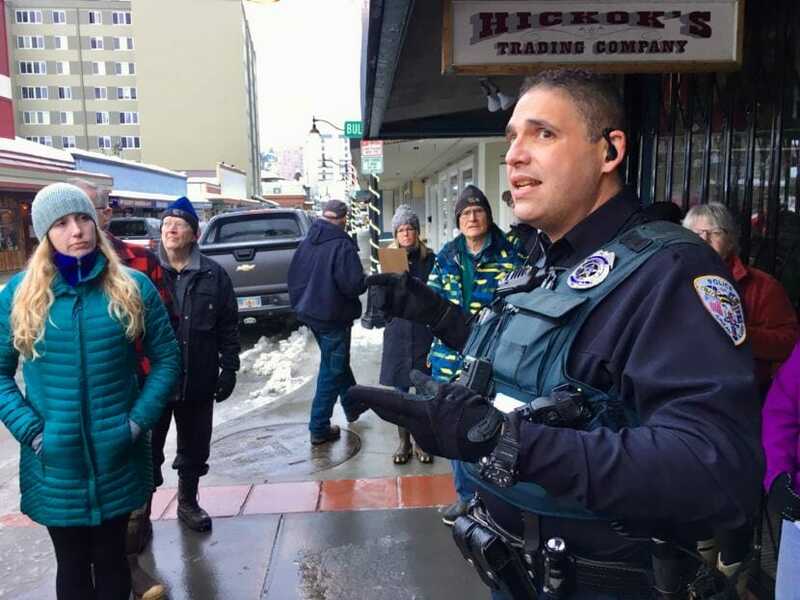 ‘These people we’re afraid of are our neighbors.’ Downtown walking tours discuss housing, public safety and Juneau’s future. 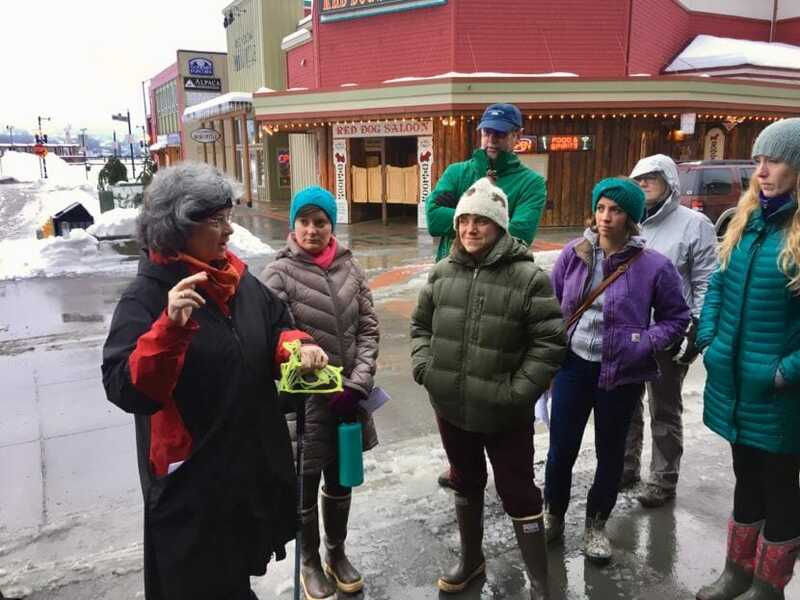 Around two dozen Juneau residents, many in rubber boots and ice cleats, turned out last weekend for Blueprint Downtown’s second public walking tour. A collaboration between the City and Borough of Juneau’s Community Development Department, MRV Architects, Lucid Reverie, and Sheinberg Associates, Blueprint’s goal is to create a “community vision” for downtown Juneau. The walking tours build off a public survey and community meetings last fall to gauge what’s working well downtown, and what could be improved. The group stopped at the intersection of South Franklin Street and Admiral Way, an unofficial border between year-round businesses and shops that cater to tourists in the warmer months and stay shuttered through the winter. Juneau police officer Ken Colón was along for the tour. He said that part of town is considered unsafe by some, in part due to the homeless population that tends to gather there. Colón said many downtown shop owners do their part to be good neighbors — when they’re around. The problem, as he sees it, is the lack of business outside tourist season. “We do have owners who will sometimes go out of their way and work with those individuals, knowing they’re down on their luck. So if that existed, that 12-month period existed where you had every establishment functioning as it ought to be, we wouldn’t have that problem or eyesore that I hear (about) on a habitual basis,” said Colón. M.J. Grande has lived in Juneau since 1983 and works downtown, along the route of the walking tour. She called for compassion. The group continued on its way, and so will the conversation. Blueprint Downtown will hold one more walking tour on Saturday, Jan. 19, meeting at the Juneau Arts & Culture Center at 1 p.m. The theme is cultural identity, sustainability and the environment.